The Cheviot is the highest point in the county of Northumberland. 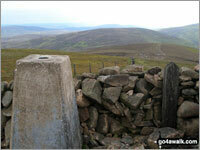 A go4awalk.com Peak Bagging Map and Hill Tick List featuring The Cheviot will be available soon. 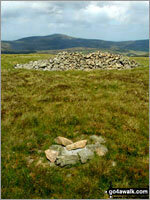 A go4awalk.com Peak Bagging Map and Hill Tick List featuring Hedgehope Hill will be available soon. 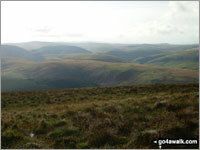 A go4awalk.com Peak Bagging Map and Hill Tick List featuring Comb Fell will be available soon. 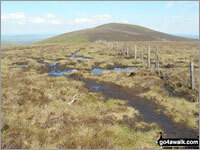 A go4awalk.com Peak Bagging Map and Hill Tick List featuring Windy Gyle will be available soon. 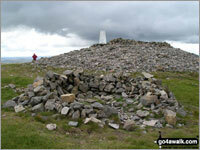 A go4awalk.com Peak Bagging Map and Hill Tick List featuring Cushat Law will be available soon. A go4awalk.com Peak Bagging Map and Hill Tick List featuring Bloodybush Edge will be available soon. A go4awalk.com Peak Bagging Map and Hill Tick List featuring The Schil will be available soon. A go4awalk.com Peak Bagging Map and Hill Tick List featuring Dunmoor Hill will be available soon. 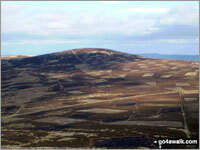 A go4awalk.com Peak Bagging Map and Hill Tick List featuring Wether Cairn (Wholhope Hill) will be available soon. A go4awalk.com Peak Bagging Map and Hill Tick List featuring Beefstand Hill will be available soon. 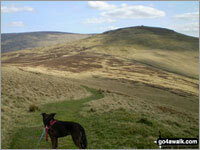 A go4awalk.com Peak Bagging Map and Hill Tick List featuring Thirl Moor will be available soon. 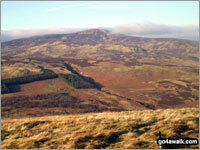 A go4awalk.com Peak Bagging Map and Hill Tick List featuring Black Hag (Hethpool) will be available soon. A go4awalk.com Peak Bagging Map and Hill Tick List featuring Yarnspath Law will be available soon. 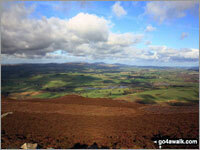 A go4awalk.com Peak Bagging Map and Hill Tick List featuring Newton Tors will be available soon. A go4awalk.com Peak Bagging Map and Hill Tick List featuring White Crags (Girdle Fell) will be available soon. 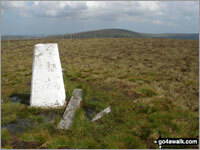 A go4awalk.com Peak Bagging Map and Hill Tick List featuring Shill Moor will be available soon. A go4awalk.com Peak Bagging Map and Hill Tick List featuring Ravens Knowe will be available soon. A go4awalk.com Peak Bagging Map and Hill Tick List featuring Preston Hill will be available soon. 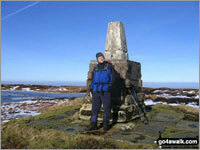 A go4awalk.com Peak Bagging Map and Hill Tick List featuring Broadhope Hill will be available soon. A go4awalk.com Peak Bagging Map and Hill Tick List featuring Lint Lands will be available soon. 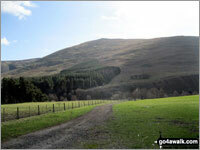 A go4awalk.com Peak Bagging Map and Hill Tick List featuring Birnie Brae will be available soon. A go4awalk.com Peak Bagging Map and Hill Tick List featuring Brownhart Law will be available soon. A go4awalk.com Peak Bagging Map and Hill Tick List featuring Shillhope Law will be available soon. A go4awalk.com Peak Bagging Map and Hill Tick List featuring Hungry Law will be available soon. A go4awalk.com Peak Bagging Map and Hill Tick List featuring Tosson Hill will be available soon.